Joy De Vivre, Rafe Totengco? Rafe has done something really amazing with his Spring 2010 Collection. He has been working with groups of talented people in his native Philippines to not only design beautiful bags, but also to help preserve distinctive crafts of these artists. The Craftwork by Rafe line was a partnership between Rafe and INVISIBLE in which women from impoverished areas of Manila were brought in and taught how to construct these lovely bags. This served as a source of income for these women and their families. 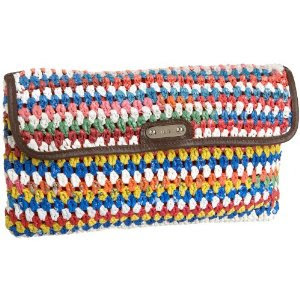 These bags were made by dying and crocheting plastic bags, over 40,000 of which were rescued just for this line! Another nod to his native Philippines are the Beaded Ikat handbags. These are not only hand beaded, but they also use Tinalak fabric. The Tinalak fabric is created by the T'boli tribe in the Philippines and the process they use is very involved. Rafe chronicles the steps in detail on his blog. 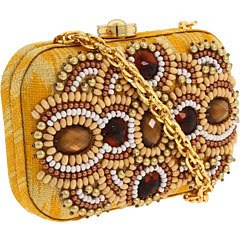 The Beaded Ikat handbags come in a range of colors such as indigo, orange, yellow, black and hot pink. Cheers to Rafe for being a designer that has not forgotten where he came from and continues to help people be creative and make a better life for themselves! Oh and in his spare time he has two blogs-Can I Tell You? and Rafe Loves! Stop by and say hi and check out what amazing things he is up to now! Thanks so much for stopping by Natalie! Off to check out your shop!